A Message From The 1st Vice President | F.F.A.M. Greetings all! I hope your summer has been going well and you are finding time to enjoy the great outdoors and the many activities our state offers. 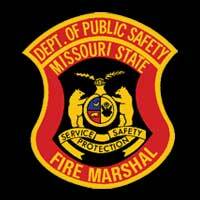 The Missouri State Fair is upon us and the Missouri State Fair Fire Department will proudly be representing the FFAM to all fair visitors. 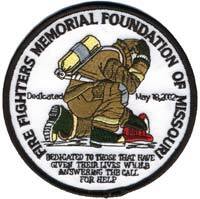 My thought for the FFAM and the fire service this time is actually a question: What is the image we are portraying? By “we” I mean the collective whole and the individual members. 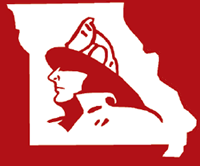 The members of the fire service, whether just in the state of Missouri or across the entire nation have an obligation to each other. That obligation is to exhibit a strong image, gain respect through our image and protect the image of the fire service. There was once a time in our history that all members of the service were revered not only in their local community, but all across our nation. Through the actions of some, but certainly not the majority, our sterling image and the respect it commanded has waned a bit. 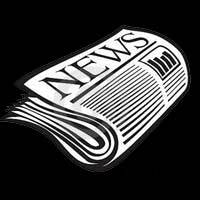 Headlines citing internal theft, in and out of the station, substance abuse, sexual misconduct in and out of the station, harassment and other similar actions puts an immediate smear on the entire fire service. For whatever reason if a firefighter is involved in misconduct the headlines always read: Firefighter charged. Take the same misconduct and have a ditch digger, nothing against a ditch digger, I did that for a job myself, be involved and rarely do the headlines include their occupation. The reason why this happens is the image and revere that we have had for hundreds of years. These actions shock the general public that someone they trusted without question could be involved. For the rest of the members of the fire service we get lumped in with those few that decide to violate the public trust, but above all violate the trust of their fellow firefighters. What can you do? Each one of us can individually make choices that lead us in a path not subject to scrutiny. We can each work to assist every other member to stay on track with actions aimed at staying within the accepted image of our profession. We can each seek out training to make ourselves the very best at what we do. We can each assist those struggling with training or work to identify areas our agencies or the service as a whole are lacking in preparing our members for the challenges of the job. We will talk more about training in a future column. What is the image we are projecting for the FFAM? Are we each doing everything we can to promote the organization in a positive fashion? If you have never given this any thought, it might be time to step back and take a look. 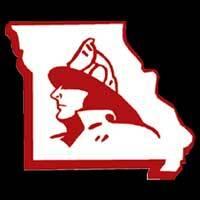 When we talk about the need to increase our membership or if you agreed with my thought in the last newsletter that we should be the single representative of a unified front of all of the Missouri fire service, are we doing anything that would make someone want to join or be active? Some fire service members may view our organization based on a single encounter or maybe just from hearing some random information, whether that information is factual or not. Everything we do must be aimed at making this organization the one people flock towards to become a member of. When we do things like exhibit poor public behavior or have infighting in the organization it does nothing to “invite” others to either join or become more active. Our most visible “all at once” opportunities to project a positive image are during the annual convention and during the operations of the State Fair Fire Department. If you think people from all corners don’t notice our behaviors at these events you are unfortunately mistaken. Think back to different activities that have taken place at either of these events and reflect on how those activities may have been viewed by members, non-members and the public. Of course these are just two of the major events, but our day-to-day activities are still those that most define what we stand for. Each of us can pay close attention to our behavior in public whether it be on an incident or just shopping at the local store. We become linked to our profession not just through facial recognition, but through the clothes we wear and the conversations we have. So even if you think no one “knows” who you are it is likely that someone observing your actions will make the link and of course that affects our image. Your decision is, if that affect is a positive or negative one. There is always a right time and place for most actions and of course the wrong place and time also. Is it acceptable if a member of the fire service wishes to enjoy an adult libation from time to time? Most would answer, yes if they are of age and so choose. However is it still acceptable for a member to enjoy that libation and then respond to the scene of an incident? I think most of us would agree this is not acceptable behavior and without doubt most members of the public would not find this within the fire service’s acceptable image. That tee shirt you wear, you know the one that has a really catchy phrase that we all laugh about and rarely see much wrong with. How do you think the general public views that same shirt? Many people, and particularly in our now overly politically correct society, may not see the same humor you saw and this can work to not only tarnish your image locally, but the image of the fire service as a whole. Improper actions, loud and abusive language in a restaurant bring attention to you and potentially to the service. How many of us really want a mother stopping by our table and “thanking” us for teaching their impressionable child sitting at the next table who idolized firefighters a few new offensive words? Now don’t get the impression that I am saying we cannot be human, that we can’t have fun, that we will not make missteps, that we can’t be individuals or anything even close to that. I agree that sometimes people just need to get over themselves and figure out that life goes on around them. What I am saying is those things you do affect the image we portray for the fire service and the FFAM. I can assure you on an individual level I have not always exercised the most intelligent decision making, but I have always made an effort to not let my less than wise moments become a public viewed spectacle and be linked to the fire service. So our image, good or bad, really does rest with each of us as we constitute the collective whole of the fire service. Take a few seconds next time right before you do something that could be questionable and ask yourself, “Would this make my grandmother proud?” If not, it is probably not something that will shed a positive light on the image of the fire service. Do what you can to protect the image because once it is tarnished it is extremely hard to get it polished back to that shining condition you once enjoyed. Just a thought for us all to consider.